Jerome Nicholas Vlieland: Sarah Chapman nee Evershed. Sarah Chapman is according to thre census of 1841 living on Brooklands as a 75 year old lady. This Sarah Chapman nee Evershed is the mother of Ann Chapman . 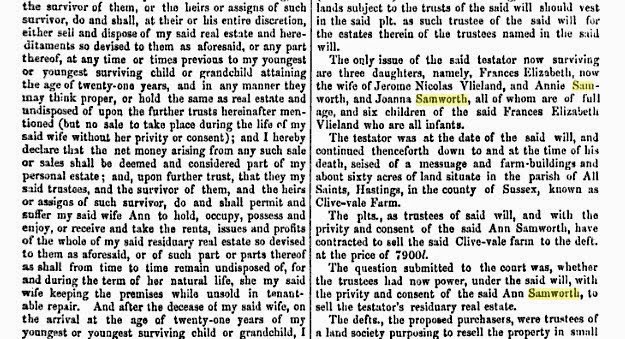 Ann Chapman being the second wife of John Samworth . 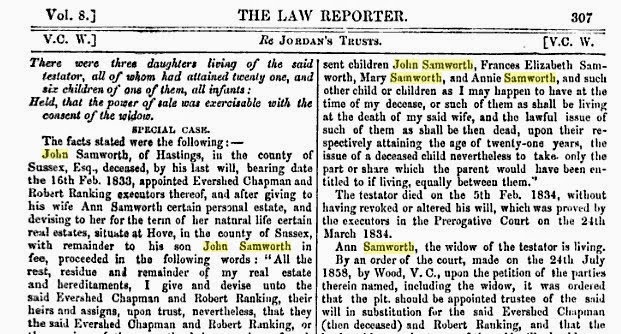 The parents of Ann Chapman are Sarah Evershed and Philip Chapman. 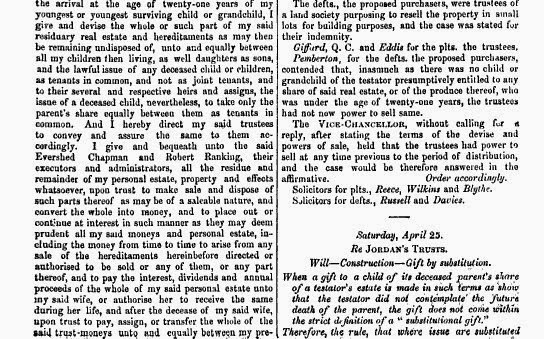 ?Sarah Evershed, by her will proved at Chichester on 9 November 1797, gave £100 to be invested and the income paid half-yearly to the minister of the General Baptist Meeting, St. Pancras. The endowment now consists of £176 2½ per cent. Consolidated Stock held by the Official Trustees producing in dividends £4 8s. per annum. The trustees of the General Baptist Chapel at Eastgate administer the charity.